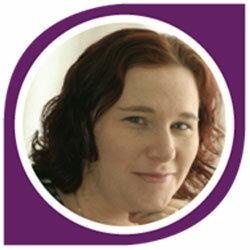 Candice is the Client Care Manager for Proud Fertility. Her role includes maintaining the current client base, which includes Intended Parent(s), Surrogates and Egg Donors, as well as working with Nathan and the team on community outreach projects updating/adding to various resources for clients. She manages the team of Client Care Specialists. When Candice became a mother, her friend told her about her story of infertility. She was overwhelmed with the desire to help. This was the moment she knew she wanted to become a Surrogate. With little knowledge of the surrogacy world and what it was about, she set out to learn all that she could. Candice is a dog enthusiast and at times, there are more dogs than children in her household. This love affair with these furry animals has led her to own one of Eastern Canada’s most notable distributors of nutritious raw dog food. Eight years and two children later, she was ready. In her 12+ years of being a part of the surrogacy community, Candice is now a three-time Surrogate. On her last surrogacy journey, she gave birth to a beautiful baby boy in April, 2016. Candice is a life-long learner and has taken many training courses in computer support. She is also an ordained Minister and is currently completing her training as a Certified Doula. She is excited to help you with every aspect of your journey, whether you are an Intended Parent, Surrogate Mother, or an Egg Donor. With Candice’s extensive experience and knowledge of the surrogacy and egg donation area, she is a great part of the team at Proud Fertility.